The Dönnhoff family first came to the Nahe region over 200 years ago, and after establishing a modest farm slowly evolved into a full-fledged wine estate. Helmut Dönnhoff has been making the wine since 1971, and now his son Cornelius works alongside in the winery and in their 25 hectares of Erste Lage, or grand cru vineyards. 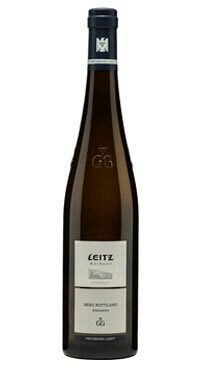 Their holdings represent some of the best in the Nahe and all of Germany. 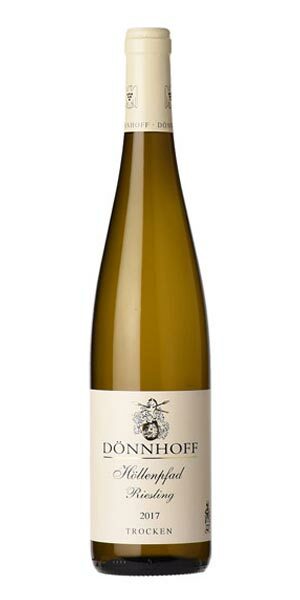 Although the Nahe is a dry region, Dönnhoff does not water their vineyards as to encourage deep rooted vines. The soil is covered with organic material like straw and compost to preserve water and to avoid evaporation and erosion in heavy rains. The vines are all grown on wire frames, low to the ground to benefit from the warmth of the stoney topsoil, and at a density of approx. 6000 vines per hectare. Grapes are always picked by hand at Dönnhoff over 2-3 passes through each vineyard. 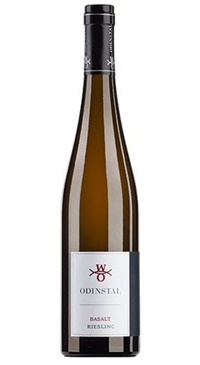 This wine is born on the famous, steeply sloping vineyard of “Höllenpfad” in a small side valley of the middle section of the Nahe River. The vineyard name translates to “Path to Hell”, likely referencing both the vineyard‘s steep slope as well as the unique color of the red sandstone. The surrounding landscape is bathed daily in the rich, warm light of the evening sun as it reflects off the hillside‘s distinctive red soil. The weathered warm sandstone of the Rotliegend strata lends the wines their inimitable character. 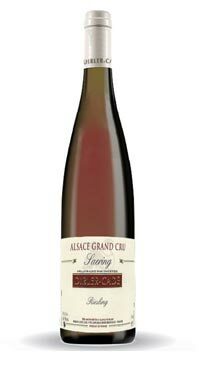 Grapes grown here tend to be very small with intense, nuanced aromas; the resulting wines are elegant with a spicy mineral fruit and excellent aging potential. This vintage is close to GC quality. The bouquet is pure and focused offering up scents of pink grapefruit, lemon, a wild yeasts, a touch of caraway seed, salty minerality, balsam, dried flowers and orange peel. The palate is crisp, full-bodied and seamlessly balanced, with racy, ripe acids, excellent focus and grip and a fine sense of extract on the long and complex finish.